Is the construction industry really growing? An ever-increasing number of construction projects are breaking ground around the world. 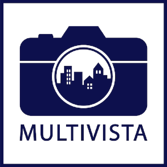 Don't just believe us when we say Multivista franchise ownership is an incredible opportunity. Listen to the people who have transformed their Multivista franchises into exciting, growing businesses. Construction is one of the world’s most robust industries and enterprising individuals are taking advantage of its recent growth. What's the best way to capitalize on the building boom? Take our quiz to find out. How can prospective franchisees solve these common problems and reap the massive rewards of franchise ownership? Read the guide to find out. One best way to capitalize on the construction industry is to open a construction-related franchisee. But is franchise ownership for you? Find out here.